At that time from within the Iron Ring Mountain came Yama, son of heaven, and with him limitless ghosts kings, all of whom appeared before the Buddha in the Trayastrimsa Heaven: the ghost king Evil Poison, the ghost king Many Evils, the ghost king Great Argument, the ghost king White Tiger, the ghost king Blood Tiger, the ghost king Crimson Tiger, the ghost king Disaster, the ghost king Flying Body, the ghost king Lightning Flash, the ghost king Wolf Tooth, the ghost king Thousand Eyes, the ghost king Animal Eater, the ghost king Rock Bearer, the ghost king Lord of Bad News, the ghost king Lord of Calamities, the ghost king Lord of Food, the ghost king Lord of Wealth, the ghost king Lord of Domestic Animals, the ghost king Lord of Birds, the ghost king Lord of Beasts, the ghost king Lord of Mountain Spirits, the ghost king Lord of Birth, the ghost king Lord of Life, the ghost king Lord of Sickness, the ghost king Lord of Danger, the ghost king Three Eyes, the ghost king Four Eyes, the ghost king Five Eyes, the Ch’i Li She King, the Great Ch’i Li She King, the Ch’i Li Ch’a King, the Great Ch’i Li Ch’a King, the No Ch’a King, the Great No Ch’a King, and other such great ghost kings. There were also hundreds of thousands of minor ghost kings who dwelt throughout Jambudvipa, each of whom ruled over something specific. 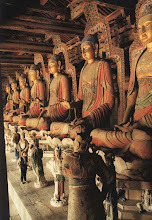 It is generally said that there are ten Yamas, chief officials over ghosts. In this text, however, we are discussing not merely the ten Yamas of Jambudvipa, but all the innumerable Yamas who came from all the worlds, from the moon, the planets, the stars, and other iron ring mountains. In general, wherever there are people there are Yamas, and where there are no people, there are no Yamas. This is because if there were no people there would be no ghosts, if there were no ghosts, there would be no Buddha, and if there were no Buddha there would be no Yama. What is most important to realize is that if there were no people, there would not be anything at all. People require, make, and use everything. 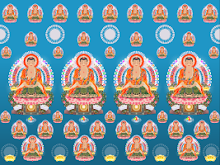 If there were no people there would be no Buddha, no Bodhisattvas, no animals, no hungry ghosts, nor hells. The question arises, of course, as to how people come to exist, and the answer is that they, like all the other nine Dharma Realms, are created by the mind alone. 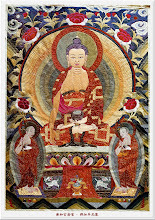 The Avatamsaka Sutra says, “If a man wishes to understand the nature of all Buddhas of the three periods of time, he should contemplate the nature of the Dharma realm: everything comes from the mind alone.” The idle thoughts in our minds are like waves on the water, and the mountains, rivers, and the great earth are merely the result of those thoughts. When there is false thinking inwardly, outwardly there are objects; if we did not think, everything would be empty. Within the Flower Store World Sea is a Lotus Flower Curtain with twenty tiers. The world in which we live is located on the thirteenth tier. 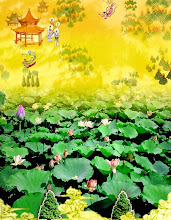 Surrounding the Lotus Flower Curtain are seven golden mountains and seven perfumed seas, and beyond all of that there is a great iron ring mountain. All the Yamas who came to the Trayastrimsa Dharma Assembly are sons of heaven, the same title given to Jesus. Some emperors, too, are called sons of heaven, but none of these sons of heaven are greater or smaller than others. Yama, the son of heaven, is recognized as such by the Buddha, as are the emperors; Jesus, on the other hand, gave himself the title. If I wanted, I too could call myself the son of heaven, and there might not be great opposition, but I do not like to do this since there isn’t any emperor, and the son of heaven is much too lowly a position. Yama does not think that his position is too lowly, because it is his responsibility. 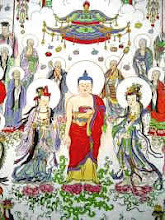 In Buddhism, after receiving the bhiksu precepts, one can become a teacher of gods and men; not only can a bhiksu be the son of heaven, he can be the grandfather of heaven as well. The ghost king Evil Poison, an extremely fierce ghost king, wishes to swallow every living being he sees. His mouth is evil and poisonous. There is no need to be afraid of him, however, since he harms only people who are evil and poisonous themselves; he uses evil to cure evil, and poison to counteract poison. 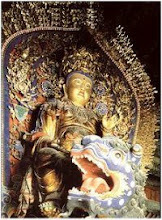 If you recite the Buddha’s name you will gain the respect of this ghost king, who will bow to you. 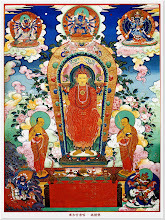 As long as you recite the Buddha’s name, recite sutras, and keep your thoughts resolved on enlightenment, there will be no problems with this ghost king, since, although he manifests an outwardly poisonous and evil appearance, he inwardly has the heart of a Bodhisattva, as does Yama himself. Consequently, those who practice Buddhadharma do not have anything to fear from him. In fact, if any of my disciples meet up with him, all they have to do is mention my name, because we made an agreement, he and I. I told him that when any of my disciples encounter him, he should take their offenses and give them all to me. The ghost king Many Evils also opposes those who do evil, and so I doubt that you who are now studying Buddhadharma and who have mended your ways will have anything to fear from him. 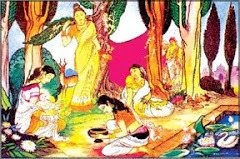 He particularly frightens those who have committed patricide or matricide, murdered Arhats, broken up the Sangha, or shed the Buddha’s blood. People who like to argue, who always manage to find principles where there are none, who maintain that they have not violated precepts when in fact they have, and who practice deceit, encounter the ghost king Great Argument. 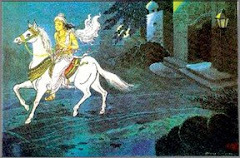 The White Tiger ghost king has a ghost’s body and a tiger’s head. The ghost king Blood Tiger has a bloody head, and the ghost king Crimson Tiger has a red body and a tiger’s head. These ghosts have horrifying appearances because they are terrifiers who appear at the end of life to battle those who have committed the ten offenses and the five rebellious acts. If it were not for the compassionate aid of Dharma Protectors and Bodhisattvas, who see how pitiful you are and protect you when you meet up with these ghosts, your end would be quite pathetic. The ghost king Disaster brings all sorts of inauspicious events, such as bandits, thieves, and fires, as retribution to people who warrant them. Everything that occurs, even disasters, is the result of causes planted in the past. The ghost king Thousand Eyes is not like the Thousand-Handed Thousand-Eyed Avalokitesvara Bodhisattva, whose hands each contain an eye. He is also not like the ghost whose many horns have eyes. This ghost’s body is covered with holes, places where there is only bone and no flesh, and in the bone in each hole there is an eye which shines like the beam of light from a flashlight. The ghost king Animal Eater eats tigers and other large beasts, and the ghost king Rock Bearer carries around a huge rock with which he flattens anyone who has committed offenses. The ghost king Lord of Bad News is responsible for the transmission of bad news such as premonitions of death. The ghost king Lord of Calamities not only sends messages of bad news, but actually brings about accidents and disasters such as airplane crashes. The ghost king Lord of Beasts watches over all animals. In the east there is a lapis lazuli mountain where a ghost king is lord of tigers, rabbits, and dragons. In the south is a crystal mountain whose ghost king is lord of snakes, horses, and sheep. There is a silver mountain in the west, and its ghost king is lord of monkeys, chickens and dogs. On a gold mountain in the north, which cannot be reached, a ghost king is lord of pigs, mice, and cows. The ghost king lord of Mountain Spirits watches over the ghosts who come into being from mountain essences, earth, stones, trees, and so forth. Such ghosts and other weird phenomena are collectively known as Li Mei and Wang Liang. 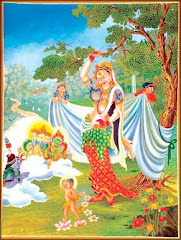 The ghost king Lord of Birth presides over births and makes the process either easier and more peaceful or more painful, depending on the nature of the mother and child. This activity, like those of the ghost kings described earlier, is for the purpose of teaching beings to change their wrong ways. The ghost king Lord of Lifespan watches over the life of everything that has blood and breath. The eyes of the ghosts kings Three Eyes, Four Eyes, and Five Eyes are not arranged like the five eyes gained through cultivation. The eyes of the ghost king Three Eyes are placed in a triangle, those of Four Eyes are in a square, and those of the king of Five Eyes come together in a bizarre and frightening fashion. In general, these ghosts have frightening appearances. The Ch’i Li She King lives on a mountain in the south and watches over fire. The Great Ch’i Li She King lives farther south and is also a great fire ghosts. 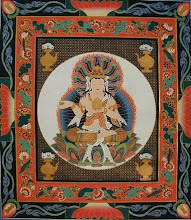 The No Ch’a King is a Dharma protector and a son of the Four Heavenly Kings. All these great ghosts were followed by little ghosts, ghost sons, ghost mothers, and ghost grandchildren. 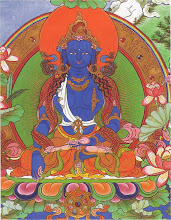 At that time Yama, Son of Heaven, looked respectfully at the World-Honored One, made obeisance, turned his head to acknowledge Earth Store Bodhisattva, and then said to the Buddha, “World-Honored One, as I contemplate, I see that Earth Store Bodhisattva uses hundreds of thousands of expedient devices to cross over living beings who suffer for their offenses within the six paths of birth. I see that he does so without the least fatigue or weariness. 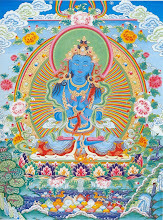 This great Bodhisattva has inconceivable spiritual penetrations that enable living beings to obtain release from retribution for their offenses; nonetheless, before long, they fall back into the evil ways. 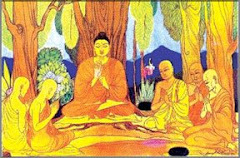 The Buddha told Yama, Son of Heaven, “The living beings of Jambudvipa have stubborn and obstinate natures, difficult to tame, difficult to subdue. 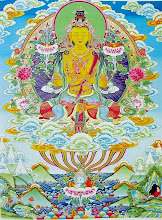 This great Bodhisattva constantly rescues such living beings throughout hundreds of thousands of aeons, and causes them to obtain liberation quickly. He rescues even those who have fallen into the Three Evil Paths from their offenses. He extricates them from their own basic karmic conditions and leads them to understand the events of past lives. An example of obstinacy and stubbornness can be seen in those people who consider forms of law and order evil and think only anarchy is worthwhile. However, there is no way to get a perfect measure without using a standard rule. The text says that living beings are bound by many bad habits. Bound means linked, the idea being that past, present, and future lives are all linked through karmic retribution. The first bad habit is lust, the primary problem of living beings, and the most difficult to eliminate, more difficult than jumping into the sky. If men and women are able to cut off all lustful thoughts of each other, they are said to have subdued the tiger; if they have cut off afflictions, they have tamed the dragon. Afflictions and ignorance are like an untamed dragon that undergoes limitless transformations and appears in many strange guises. Those who cultivate should examine themselves to see if they have achieved the skill of taming the dragon and subduing the tiger. If living beings have totally eliminated all desires, they are said to be without outflows; if desire remains, there are still outflows. The second major habit of living beings is greed. It is because of greed for pleasurable sensations that there is desire. The third habit is arrogance. Basically one may not be any different from anyone else, yet he comes to see himself as superior to others. The desire to be foremost, to be always out in front is called arrogance. The fourth habit is hatred; the wish to harm others even though they may not have done anything bad to you. The fifth is cheating, which is to say, doing deceitful and false deeds. The sixth is lying. Deceit involves covering up known bad with a good appearance, whereas lying is out-and-out misrepresentation of the truth under all circumstances. The seventh bad habit of living beings is blaming – passing the buck and trying to shift one’s errors off on others. The eighth is improper knowledge and views, and the ninth is deviousness. The tenth is accusation, enjoyed by those bringing suits against others even though they are without any principle in their own case. 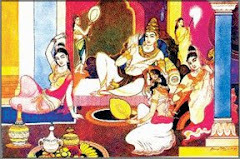 The above list is discussed in the Surangama Sutra as the ten fine, subtle causes for undergoing retributions in the Six Paths. “The confused traveler thanks him profusely, and as they are about to separated, the adviser says to him, ‘If you see those whom you know personally, as well as other travelers, be they men or women, tell them that there are many poisons and evils on the path which can cause them to lose their very nature and life. 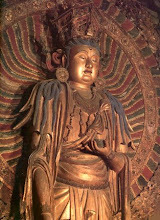 Do not let them seek their own deaths.’ In the same way, Earth Store Bodhisattva, replete with great compassion, rescues living beings who suffer from their offenses and causes them to be born among men and gods, where they receive wonderful bliss. 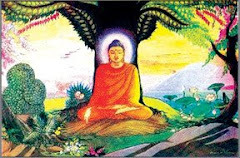 When this was said, a ghost king in the assembly named Lord of Lifespan said to the Buddha, “World-Honored One, my conditions are such that I am Lord of the Lifespan of men in Jambudvipa, and govern the time of their birth and death. My fundamental vows are based on a great desire to benefit people, but living beings do not understand my intent and go through birth and death uneasy. Why is this? At the time of birth, good deeds – acts that are beneficial to others – should be done to cause an auspicious light to protect the household. The local earth spirits are greatly pleased by this and also act to protect the home. The class of ground spirits referred to here has the lowest rank, much like a notary public in the civil service system, and each of them is responsible for a particular area of a city or district. These spirits are in such a position because of a fondness for doing good deeds unaccompanied by actual cultivation. 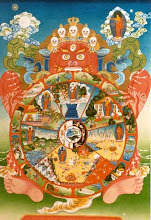 The time of death refers to the time when warmth, breath, and consciousness have ceased. When this occurs, the Intermediate Skandha Body is confused and unaware that it is dead; it cannot tell good from evil and has no perceptions. During this period the survivors should do great merit for the sake of the dead one. In China, monks are requested to recite sutras for the dead during the first seven weeks after death. 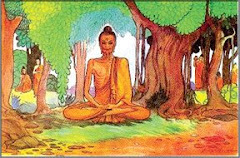 For example, in commemoration of the nirvana of the Venerable Hsu Yun, the Buddhist Lecture Hall in Hong Kong had the entire Mahaprajnaparamitasutra recited in a one-hundred-sixty-day session, something that had never been done before in the entire history of Buddhism, from Sakyamuni Buddha on. The compilers of the Old Master’s biography neglected to mention this Dharma Assembly. 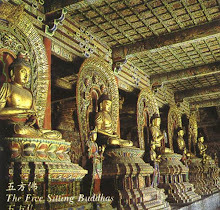 The last sentence in this section of the Chinese text appears to say that one can be liberated form all but the Five Offenses; in other words, that hearing the name of a Buddha or Bodhisattva at the time of death can liberate one from all his offenses except those of the Five Offenses that incur uninterrupted retribution. On the other hand, the sentence can be read to say that even the latter offenses can be eradicated. If an ultimately sincere thought is produced at the time of death, all offenses can be eradicated; the problem is that it is extremely difficult to have such a thought at that time. This ghost king is extremely independent and can do as he likes. If he wants a person to live, he lives, if he wants him to die, he dies. Since all lives are in his hands, you can be sure that if he were greedy and could be bought off, like many officials, there would be quite a lot more people in the world. The ghost spoke of Dharma Master Tao Sheng as “the Noble Sheng.” This practice of using one character of a person’s name and preceding it by the word noble is a sign of great respect and is still in use.